List of taxpayers supporting the South District School at Surry, New Hampshire, dated February 6, 1794. The reverse has the signatures of selectmen Samuel Hills and Asa Willcox. 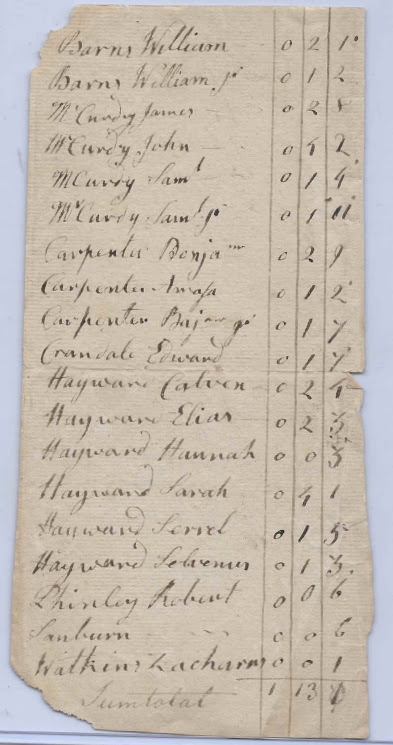 List of taxpayers, as they appear, not in alphabetical order. 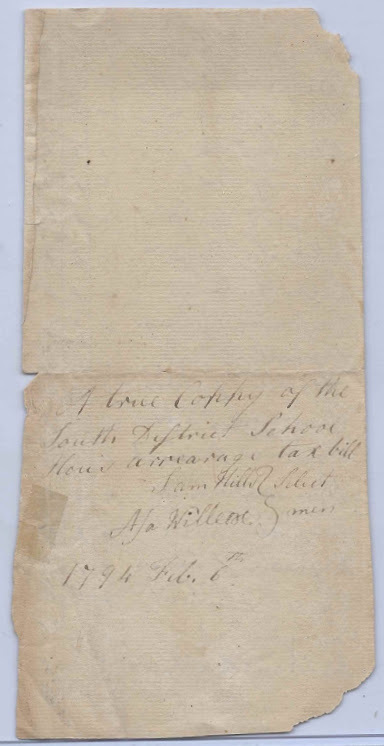 Another post featured an 1809 document from Surry, New Hampshire, also signed by Selectman Samuel Hills. If you have information on any of the people listed on this document, please leave a comment or contact me directly. Thanks for stopping by!